Using clay, ink and liquid latex Ruth Sargeant and Gina Hughes set out to create a forensic collage, recording the actual textures of the town and its people. Participants were invited to join in by donating palm prints and by taking and recording their own impressions around the town. Demonstrations were given at the shed and there were opportunities to accompany the artists as they went out and about collecting evidence. More than two hundred people gave their contact information and at least as many again took part without doing so. A busy and exhausting week. Had not anticipated the response which left on average 3 hrs extra prep each day, and broke the clay budget significantly. It’s difficult to say how I would have changed it as the shed did become the installation as anticipated with the latex impressions. However if I was to generate the same activity again, I would cut that aspect out and display the clay impressions. Pleased that we met the brief and engaged families with and without children and that they did art activity together and not the usual workshop\creche model. There seemed a lot of adults of all ages around, many of whom seemed to want to get involved and while I understand the desire to engage the children, to do so almost exclusively compromises the collective spirit for regeneration through art etc. that is clearly there. Felt the time should have been later eg 1.30 – 4.30 as there seemed more children around later and people were less intent on lunch. P.S. We were lucky as we had the canopy of the shops which meant we could operate in the rain. 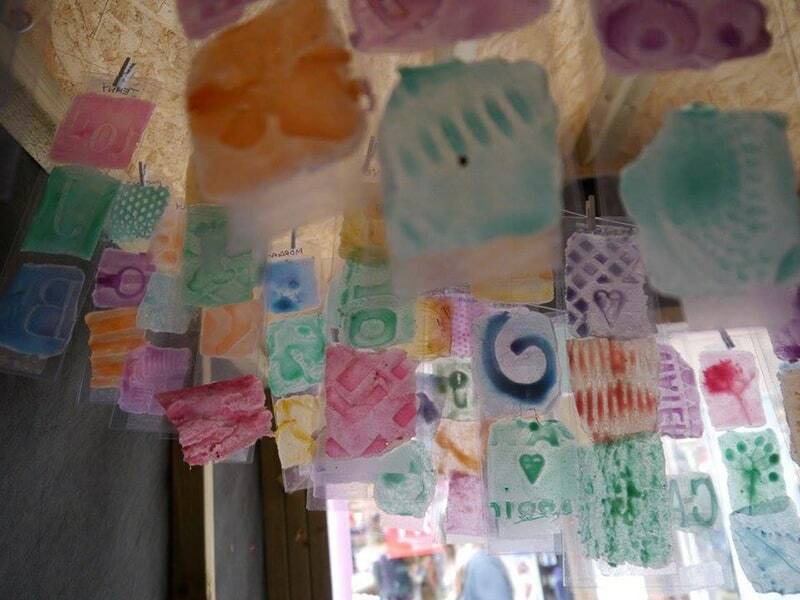 Following on from the project, Ruth has been working with members of the Haverfordwest Town Council to create an installation from the impressions taken in the Artshed.